Today I have a special excerpt for the first book in the new dark fiction YA series, The Twisted and the Brave. It's called Lost in Wonderland, by Nicky Peacock. 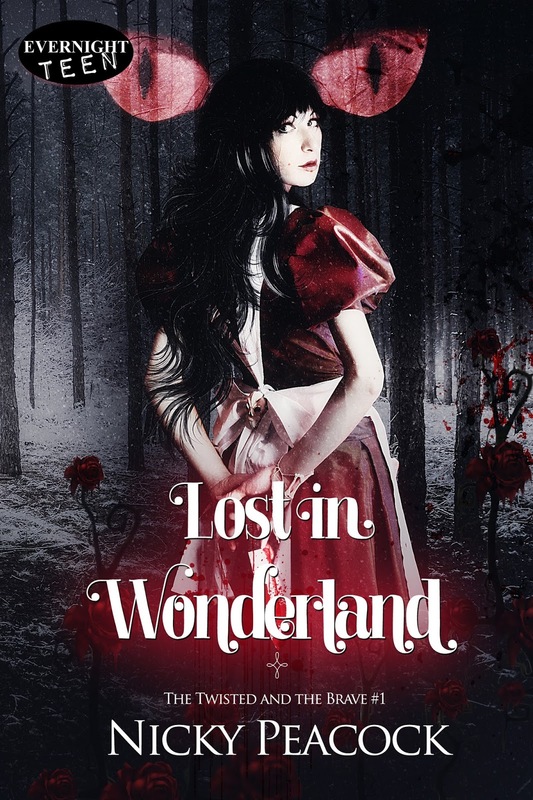 During her virtual book tour, Nicky will be awarding a $10 Amazon gift card, an e-copy of Lost in Wonderland, an e-copy of the Battle of the Dead series, books 1, 2, & 3 to a lucky randomly drawn winner. To be entered for a chance to win, use the form below. To increase your chances of winning, feel free to visit her other tour stops and enter there, too! Mystery author Gerald W. Darnell is chatting with me today about his new mystery/detective novel Murder and More. A Florida native, Gerald grew up in the small town of Humboldt, Tennessee. He attended high school and was a graduate of HHS class of 64. Following graduation from the University of Tennessee, he spent time in Hopkinsville, KY, Memphis, TN and Newport, AR before moving back to Florida - where he now lives. During the early 70’s the author actually worked from an office in the Memphis Peabody Hotel. So many of the events about the hotel in Carson Reno’s stories are real as well as many of the characters you meet. His fiction books are what he calls ‘Fiction for Fun’. They use real geography and include pictures and characters some readers might recognize. The Carson Reno Mystery Series features adventure mysteries set in the early 1960’s time period. The primary geography is Memphis and West Tennessee, but Carson’s stories take the reader across the United States and occasionally to foreign countries. Each story is considered light reading and is rated PG for everyone’s enjoyment. You are invited to pick your character and put yourself in the ‘play’. You might find it fun! 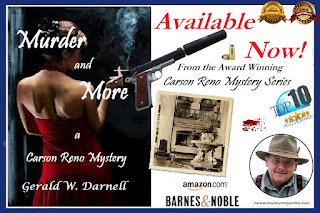 Current published Carson Reno mysteries include Murder in Humboldt, The Price of Beauty in Strawberry Land, Killer Among Us, Horse Tales, The Crossing, Sunset 4, The Everglades, The Illegals, Dead Men Don’t Remember, Fingerprint Murders, Reelfoot, Justifiable Homicide, Dead End, and Murder and More. Gerald’s non-fiction book Don’t Wake Me Until It’s Time to Go includes stories and events spanning time from pre-high school to his now retirement in Florida. As an avid hunter and fisherman, many of the events involve activities and stories from his personal outdoor adventures. As a business executive, and extensive traveler, he gives us some playful observations accumulated from the millions of miles he traveled across the US. As someone who loves animals and adventure, he offers thoughts and observations that are probably outside most reader’s imagination. Not a ‘tell all’ narratives, real names and real people are included. If you know the author, you might find yourself - or one of your adventures - included. If not, I’m certain you will find a real familiarity with the stories and the times chronicled in the book. A must read if you enjoy hunting, enjoy humor and can laugh at yourself - while others are also laughing at you. Welcome, Gerald. Please tell us about your current release. 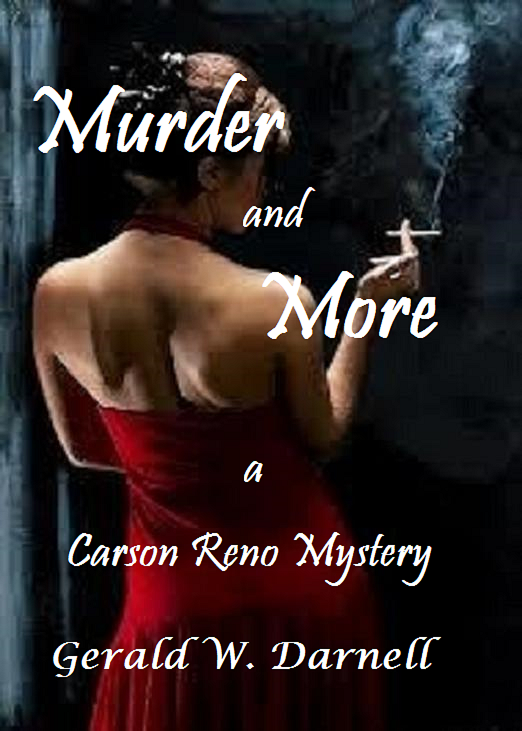 Murder and More is the 14th book in my Carson Reno Mystery Series. Although a series, each novel is stand-alone and it is not necessary for readers to have read other books. Each novel is self-contained and characters appropriately introduced in each story. My previous novel, Dead End involved the death of a main character. My fans were…well, they were upset by her death. This book introduces another character to replace the one who died. The gray limousine parked in the alley at the side entrance of the Belvedere; Henry asked the driver if he could please wait for a moment while they got settled into Olivia’s downstairs bungalow. “Are you sure?” Henry suggested with a huge smile. “Yes, I’ll get a vase for the roses, just don’t take too long!” she said, giving him a kiss and getting out of the limo. Olivia disappeared into the shadows and Henry removed his wallet before opening the passenger door to speak with the driver. Henry never spoke a word. Tap…tap, tap. Three silenced bullets came from somewhere near the rear of the limo. The first smashed into the back of Henry’s head, spilling his blood and brains all over the driver and front seat. The second two slammed into the chest of the shocked and surprised driver – neither he nor Henry ever realizing what was happening. Milo Fish, a local bookie and a second floor resident of the Belvedere Apartments was out of cigarettes. It was late, but his phone was still busy and would remain that way until daylight when bets were cutoff for the weekend ballgames. The phone and his clients would have to wait for a few minutes while he ran across the street to the local convenience store. Rushing out his door, and almost reaching the bottom of the steps, he caught a glimpse of something moving in the shadows and paused for a moment. A limo was parked in the driveway with the passenger door open and appeared to be delivering a late night customer. He didn’t see anyone else. A silenced bullet entered his right ear, traveled through his brain and stopped just behind the left eye – death was instant. The impact of the shot threw Milo’s body sideways, before tumbling down the remaining steps to the sidewalk. Another Carson Reno Mystery Series novel called Deadly Decision. In college I wrote for the Fraternity and several other organizations – nothing serious. Later in life I wrote for a few outdoor magazines, highlighting some hunting or fishing adventure. Then I got a real job and worked for 30+ years before writing again. Writing is a hobby, I am retired. I am a conversation writer. Most of my stories are told through the voices of my characters. ‘Don’t write to get rich, but to enrich others’. Thanks for being here today, Gerald! Interview with A.J. Flowers about "A Guide to Writing Your First Novel"
I’m wrapping up the week with an interview with A.J. 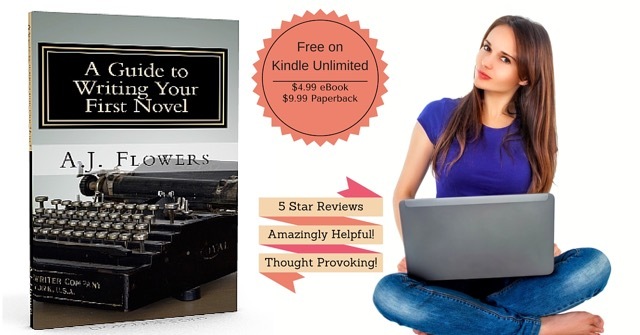 Flowers about her book, A Guide to Writing Your First Novel. A.J. Flowers is a book blogger and fantasy author. Originally from an island about a mile and a half wide named Sugarloaf key, A.J. discovered new lands and culture through books. Life has drastically changed since her childhood, and she currently resides in Detroit, Michigan as an Automotive Body Designer, which has given her the opportunity to travel the world and experience regions and cultures that she incorporates into her work. During her free time, she saves the world from annihilation on her favorite video games side-by-side with her Dutch husband and princess Blue Russian kitty named Mina. This book release is the culmination of five years of work. I’ve been on a journey to discover how to write a book people will want to read. Eventually I started a blog to share what I’d learned. Once I realized I had enough material to make a book, I got to work and took the best tidbits I’d uncovered into one easy guide. Because of my blog’s feedback, it was easy to judge what information was the most useful to aspiring writers. 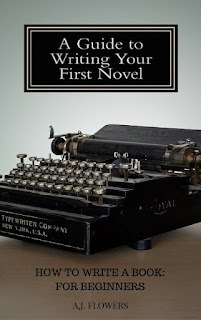 I had no intention of creating a writing guide, especially before I even published my own novels, which are still in my obsessive-editing mode. But through my love of literature and desire to learn, it was natural to end up with a mountain of data just waiting to be shared. Putting it into an organized book format was fun and I got to pick out the best of what I’ve learned over the years. Put your manuscript down, I'd recommend at least two months. Six would be ideal. You really need to get away from it long enough to change your mindset. Unless you have a photographic memory, this technique will work. You'll transform into the one thing you crave feedback from: a reader. When you were born, did your parents shove a book of world history in your face? No, absolutely not. They gave you what you could handle, and that's exactly how you need to treat the reader. While every chapter should have goals to further the plot and delve our readers deeper into our world, there must be one goal above all else: Emotional Impact. While I wait for publishers to respond about their interest in my ‘angels aren’t as pure as you thought’ novel titled “Fallen to Grace,” I’m currently rewriting a ‘soul-parasite fantasy’ titled “Sanctuary.” I’m hoping to be query-ready in about six months! Unfortunately, I have no future writing guides planned, but who knows. If I find I have a second mountain of delightful data just sitting around waiting to be shared in another five years, I’ll be sure to share it with the world. 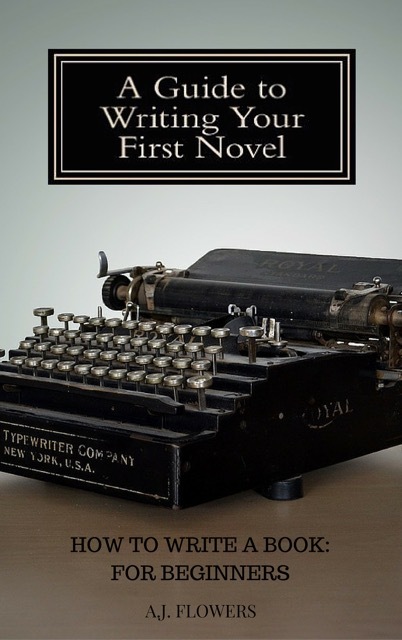 When did you first consider yourself a writer? I considered myself a writer when I was six and wrote a poem about the loss of my beloved pet. It was the first time I used words to express what I was feeling, and I realized how great that felt. I write during any downtime I get. My day job is an automotive design engineer. Quite the stark difference, I know. But most writers have day jobs. That’s just how it goes! Writing isn’t as profitable as you’d wish it to be, and honestly I love my day job. It’d be hard to give up too. That said, I write 7,000 words a week. That means at least 1,000 words a day. It sounds tough unless you know where to squirrel away time. It takes about an hour to write 1,000 words if you aren’t dilly-dallying. We all can find an hour in our day if we try hard enough. I will honestly fit writing in wherever I can. So my writing quirk is that I have no qualms about driving to a parking lot during my lunch break and writing for 45 minutes. If I tried to write at my desk people would stop by, apologize profusely, and then ask me to do something work related. Gotta do what you gotta do! If you’re an aspiring writer, I encourage you to pursue your dreams. Writing is a lifestyle, a marathon; it’s not a sprint. It’s something that’s a part of you and you do it because you can’t imagine life without it. I feel that writers forget that and rush into their work. Even though I’ve written so many books, I am not publishing until I feel ready to publish. That’s why the first book I technically published was a writing guide of all things, but that’s because I knew exactly what needed to be said and how to say it. When you feel that way about your work, you know you’re ready.